Can Am Side by Side UTV Guide - Defender, Commander, Maverick, and X3. Can Am Side by Side models fall into three main categories. Utility, Sport Utility, and Sport. Defender models represent the utility category, Commander models are the Sport Utility entry, and the Maverick and X3 cover the pure sport designation. 2019 Can Am Defender Quick Guide - Easy to use overview covers all the Defender models with photos, specs, prices, and more info. 2019 Can Am Defender Max Quick Guide - This one covers all the six seat Defender Max models. Can-Am Defender Max Xmr - A Defender Max for the mud and swamps. Can-Am steps up it's game with the introduction of several specialty models for 2019. We'll take this as a clear signal to Polaris that they don't plan to surrender the specialty model segment without a fight. If you're looking for a six seat utility for wet work, you now have a choice. 2019 Can Am Commander and Commander Max Quick Guide - Review of features, specs, and more for all the Commander Side by Side UTV models. 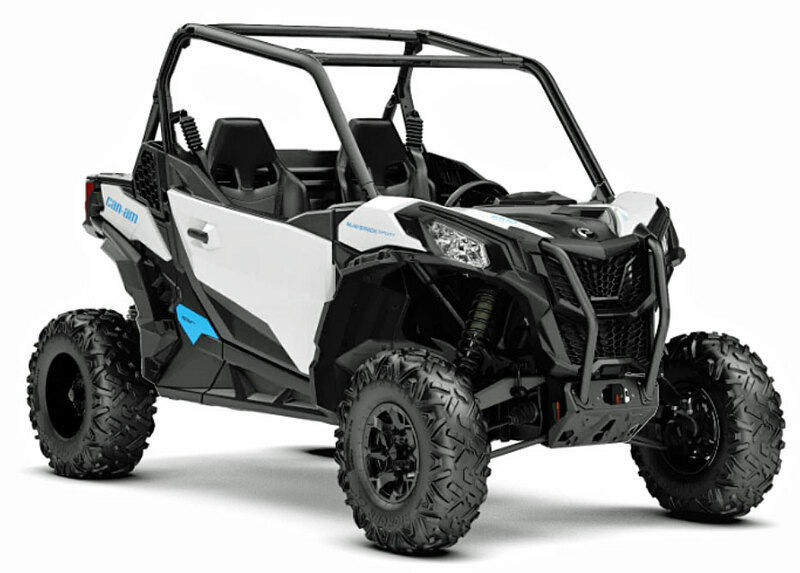 Can Am Commander Models - The sport utility side by sides are here! Review of all the 2011 models in this sporty UTV line. Everything from the base model 800R to the top 1000 Limited luxury models. We'll cover all the features - from the fuel injected Rotax V-twin engines to the unique dual cargo box storage. 2019 Can-Am Maverick Sport and Trail Quick Guide - Covers all Sport, Sport Max, and Trail models. 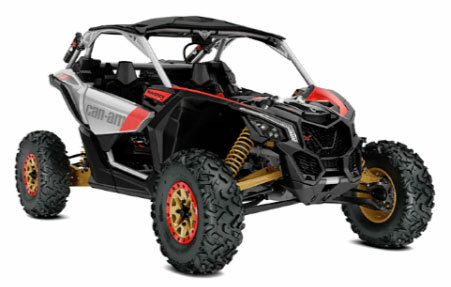 Can-Am Maverick Sport Xrc - This new for 2019 rock and trail model is getting lots of attention. When you modify a popular sport utility Can Am side by side for rock crawling and extreme terrain trail riding, that happens. Significant features are higher ground clearance, arched control arms, and minimal overhang at both front and rear. All that helps to keep obstacles from stopping you. The Rotax V-twin and special programming of the front diff lock for rock crawling help you get over them. 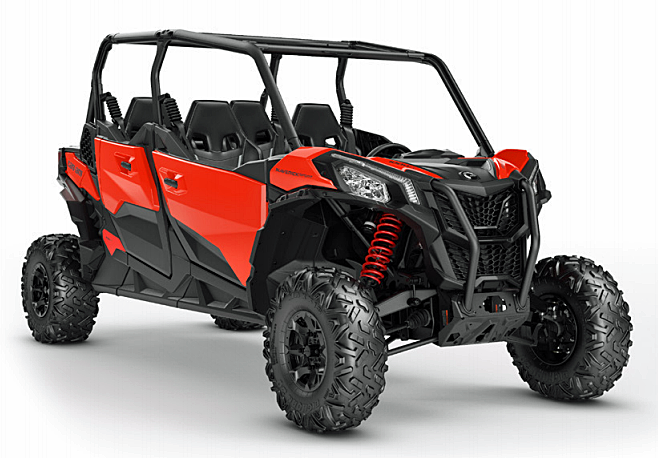 Can-Am Maverick Sport Xmr - The popular Maverick Sport gets the full mudder treatment. 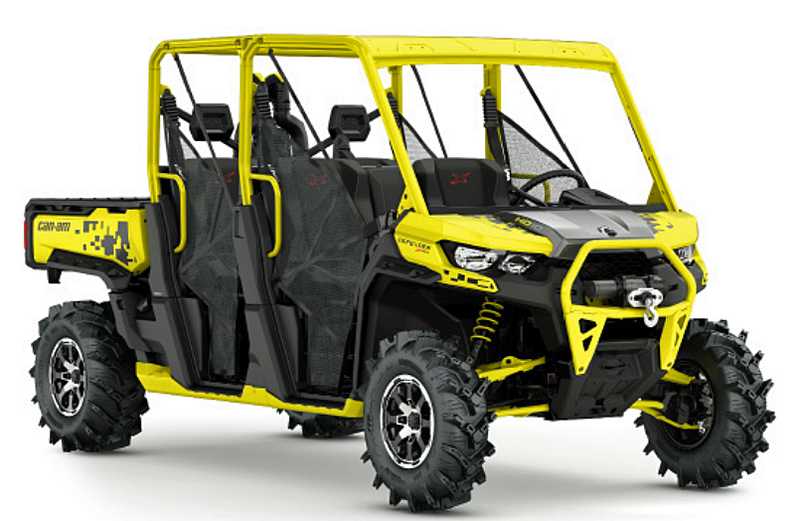 If you've wanted to convert a Maverick Sport for mud riding, Can-Am just did it for you! Extra high ground clearance and arched control arms for hi-steppin' over obstacles. Deep lug mud tires, 100hp Rotax engine and a special "Mud" setting for the locking front diff provides the motivation. 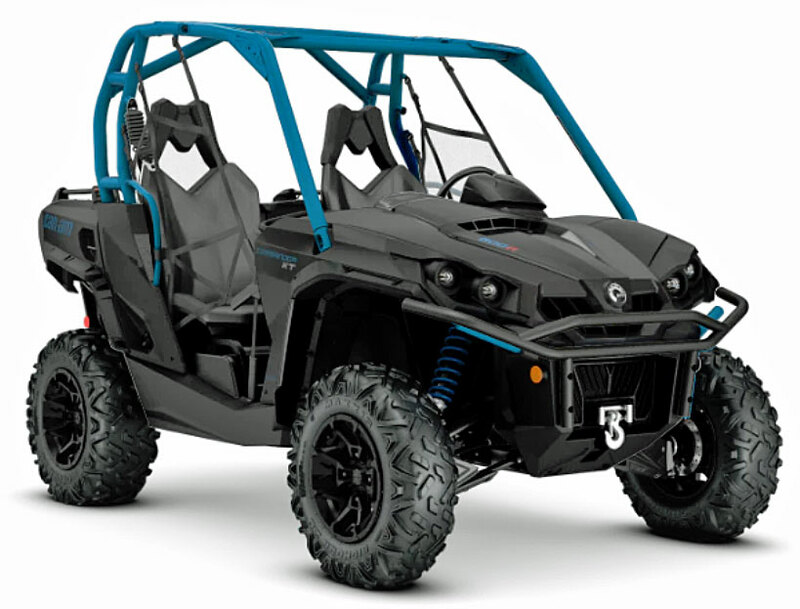 Can-Am Maverick Sport Max DPS - The four seat sport utility class is starting to get crowded as Can-Am jumps in with this new for 2019 model. The Sport Max offers a roomier interior, full doors front and rear, and premium suspension for maximum driver and passenger comfort. 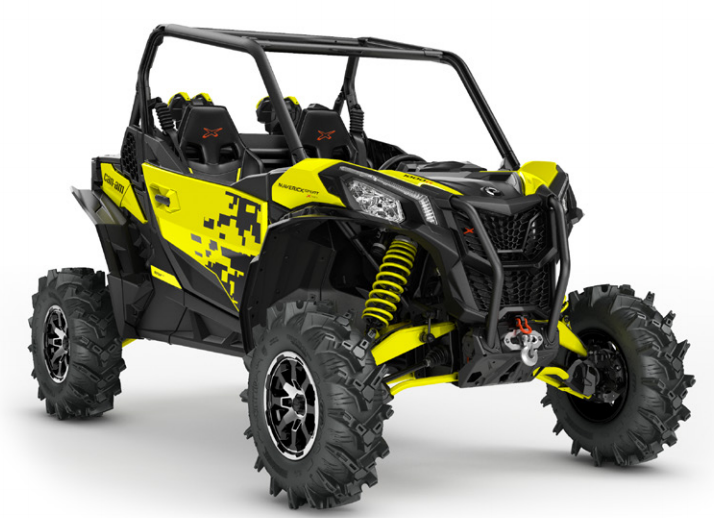 2019 Can Am X3 Maverick Turbo and Turbo R Model Guide - Our Quick Guide gives you an overview of all the Maverick X3 Turbo models for 2019. Includes prices, photos, specs, and special features of each X3 model. 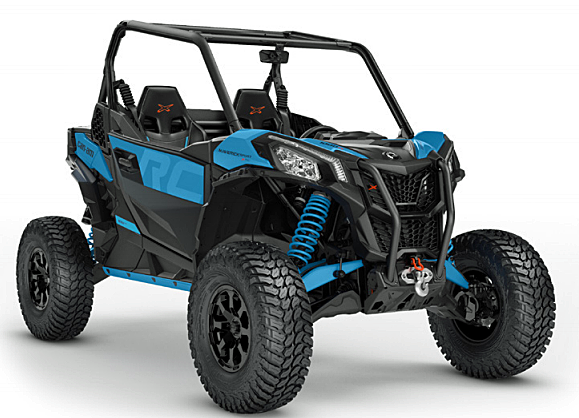 2019 Can Am Maverick X3 Max Turbo Quick Guide - Covers all the 4 seat X3 Max models. Can-Am UTV News and Info - Get the latest scoop on new Can Am Side by Side models and accessories, including prices and special deals.